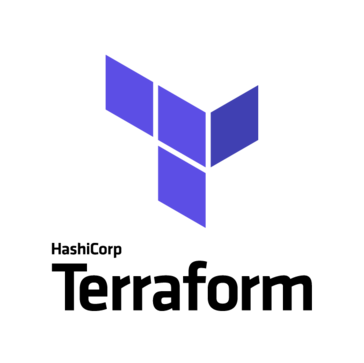 Hashicorp Terraform is a tool that collaborate on infrastructure changes to reduce errors and simplify recovery. "Powerful tool with growing pains"
Terraform provides an easy to use, declarative, cloud-agnostic way to manage your infrastructure. There is a lot of power in being able to describe how you want your infrastructure to look, and then allowing Terraform to create/modify/destroy as needed. The fact that you can use the same tool for all major cloud providers, most smaller ones, and even many tools and services in the cloud space, is helpful to keep you from having to learn more tools to work with each service. Terraform is a relatively young tool (as is the language, HCL, that is uses) and continues to see rapid changes. This can be hard to keep up with, and you might need to update templates from time to time to make use of newer versions (and the included fixes; there are still a fair amount of bugs but Hashicorp is quick to fix them, and it's getting more stable quickly). Fortunately, version 12 is coming out soon, which will bring a lot of breaking changes, but with it, many needed improvements, and a promise from Hashicorp to stabilize after that. Streamlining the creation and management of infrastructure. Allowing users to manage their infrastructure without having to learn the specific provider it's running on. "Great software for VMware Administrators!" i like that it allows me to deploy infrastructure as code easily and quickly! Terraform allows you to create templates that define servers within vmware. You can then deploy these templates to create the servers with no manual intervention by the administrator. I also like that Terraform can be used across multiple cloud providers, such as AWS and Microsoft Azure. The templates being cross-platform truly make Terraform a great product for any IT administrator! The documentation for the vmware module is not very user friendly. In addition, I found that the VMware module is a bit lacking in certain areas. Deploying network settings for a VM took a while to figure out and was not user friendly at all. I am able to deploy virtual servers as code quickly and efficiently. Terraform allows me to keep server deployments consistent, so that when I need to deploy multiple identical servers, I can ensure they are all identical and deploy them efficiently. What Cloud Infrastructure Automation solution do you use? The best aspect of terraform is HCL. The language makes things easy to read and present, allowing less knowledgeable employees to still follow along with easy. Additionally, the modular approach of terraform is easy to use, as one variable change in the root module will be displayed where I want. I dislike the ability to make one ELB module in the root module, for example, and reuse the ELB module in different places. Essentially, if there was a way to have multiple sources per module, my life would be much easier and this would help IMMENSELY with larger scale projects like the one I'm working on now. Take your time with understanding modules. It takes time to implement and fully understand. We had the problem of a disorganized and rather complicated approach to creating cloud formations/stacks on AWS. The benefits of modularization supersede our current approach and we love the ability to plan and see what will happen before anything actually occurs, along with keeping better control of our states. "Using Terraform for your AWS infrastructure"
Terraform is a terrific implementation of the "Infra as code" concept. The modelling of entities and the relationships between them are clear and easy to conceptualize. Can be difficult to get the exact correct configuration sometimes. Lack of good code examples - Sometimes you really need to do extensive searches of Github in order to find the exact example that relates to you. If you are using AWS, and the API GW in particular, currently the biggest pitfall (and pet peeve of mine) is the fact that when you define an API GW resource, Terraform will not redeploy the affected stage. Also, it's crucial that you use a remote (not local) state so that all team members can work on the same state. Infra as code - Describe your entire infra in a versioned repository. Tear down and set up infra at the push of a button. "The best and most user friendly cloud automation tool"
This is very easy to use and learn. I can't imagine the value it brings to Operations and deployment teams. During a failed TF run, the error detail is insufficient at certain circumstances to understand the reason. Hence, I was left clueless at times and got stuck not being able to fix my code. "Infrastructure as code done right." I like how it's free, community driven and constantly developing. It's easy to find solutions to problems in thriving community. There are so many users. It's hard to say I dislike anything about Terraform. I just find it difficult to learn it all! There is so much documentation and so many possibilities. Take a look at other IaC platforms, but this open source one is great and very flexible. Automated infrastructure deployment and maintenance. Realized benefits such as developing code with a team safely and easily. "Architecture as code - done right"
As long as Terraform is implemented correctly, there isn't much to dislike. There isn't great support for Terraform in a few CI tools, unfortunately. We're using terraform to bootstrap our future container infrastructure. But in the meantime we're deploying services onto pre-provisioned architecture. "De-facto Infra as Code Tool"
Mature-ish, large user base, easy to use, syntax good enough (e.g. not as verbose as Cloudformation), helpful-ish error messages. No easy roll-backs, not as good support as aws for other cloud providers, terraform state need to be dealt with extreme care as a corrupted state is a big hassle. Don't have any other choice, but that's not to say this is a bad tool. It is good enough. "Perfect to programmably start multiple instances on your platform of choice." There is a lot of modules that can handle almost everything. Also, it is really simple to learn. Some feature are missing (ex. : read env variables) and it can feel a little bit `hacky` (ex. : trying to do a `else if` equivalent). We use it to start a cluster on different providers. Terraform allow us to exdents and reduce the nodes number in 2 minutes. "Solution for all provisioning needs"
It is great at what it does. Easily pluggable to existing workflows. The configurations have a learning curve but worth it. It is a polished product even when it has not been around for so long yet. It handles provisioning well but not good for configuration management and you need to implement something like ansible, chef in conjunction. They already have decent provisioning support so it becomes a bit difficult to pitch it to management to go for it. We are using Terraform for our cloud VM provisioning. It has brought us closer to our goal of becoming cloud-agnostic. "Revolutionary tool for infrastructure as code"
Cross-platform support for AWS, GPC. Being able to achieve blue green deployment for achieve zero downtime. Works for all cloud resources. The learning curve is a bit deep, and you need to learn Go language. We can now confidently deploy infrastructure changes. "Flexible but frustrating at times"
* We monitor all Hashicorp Terraform reviews to prevent fraudulent reviews and keep review quality high. We do not post reviews by company employees or direct competitors. Validated reviews require the user to submit a screenshot of the product containing their user ID, in order to verify a user is an actual user of the product. Hi there! Are you looking to implement a solution like Hashicorp Terraform?